Russian President Vladimir Putin (2nd L) toasts guests in the presidential lounge after the opening ceremony of the Sochi 2014 Winter Olympics. Photo: David Goldman – Pool/ Getty Images. The attempted murder of former Russian spy Sergei Skripal is a result of Britain signalling weakness to Russia for years, according to Chatham House. Russia’s reaction to the nerve gas poisoning suggests President Vladimir Putin believes he is beyond reprisal. Putin is thought to be testing how isolated Britain is following Brexit. Britain has been unintentionally signalling its weakness to Russia for years – and it may have paved the way for Vladimir Putin’s poisoning of former spy Sergei Skripal. 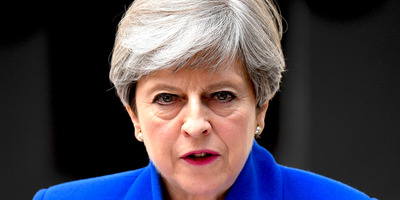 Skripal lies stricken by a military grade nerve gas in a hospital bed, and Russia has responded with what Prime Minister Theresa May said was “sarcasm, contempt and, defiance” to Britain’s demands for an explanation. Putin even appeared to smirk when asked about the incident by a British journalist this week. It suggests the president fears no reprisal from the UK. Russia experts at Britain’s highly respected Chatham House think tank said the events are the result of the UK having “communicated weakness to Russia without any intention of doing so” for more than a decade – and that Putin is now testing the country’s resolve. James Sherr and John Lough, associate fellows of Chatham House’s Russia and Eurasia Programme, date Britain’s vulnerability back to the assassination of former FSB agent Alexander Litvinenko in 2006. Photo by Leon Neal/Getty ImagesTheresa May. Sherr told Sky News on Wednesday that the attempted murder of Skripal is designed as a “test to see how isolated we are” following Britain’s vote to leave the European Union in 2016. “If the UK chooses to act toughly, will its allies support it or simply send their best wishes?,” he added in the Chatham House blog. Among a raft of retaliatory measures against Moscow following the Skripal poisoning, May announced plans to expel 23 Russian diplomats and cancel a delegation to the football World Cup this summer. Eyes will now turn to Britain’s allies, particularly in Washington, to see if their words of support translate into action against the Kremlin.